Prepping for SHTF is a task that can be done is lots of ways. One thing that is important about this process is knowing how to use everyday items in beneficial ways. 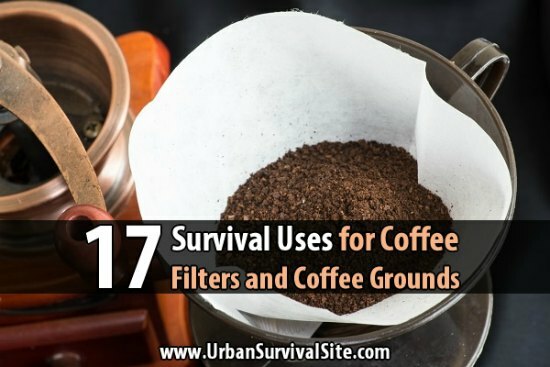 If you drink coffee, then you might be astounded at the survival uses for coffee filters and coffee grounds that are available. Coffee filters are super cheap and often come in packs of 150 or so for about $1. This means you might want to stock up these items as you never know when they could be useful. Just make sure that you are making a list of the best survival uses for coffee filters and coffee grounds. One of the best thing about knowing survival uses for coffee filters and coffee grounds is you can have lots of options. Coffee filters make a great bowl for dry food and can even be used to help start a fire to use for cooking or for heat.